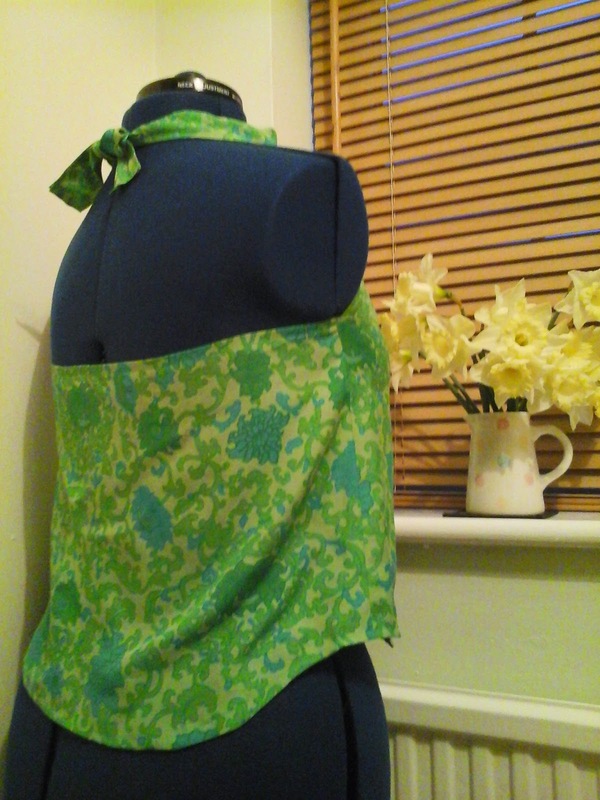 A while back, I borrowed my Mum's copy of The Great British Sewing Bee Book as I wanted to have a go at making the Draped Top. 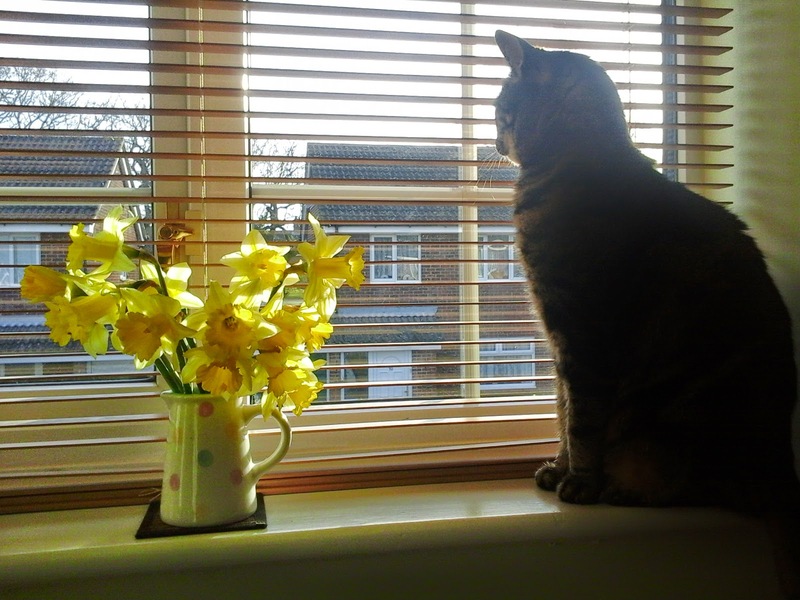 There was always something else that wanted sewing, knitting or baking, so I didn't get around to it for ages. Well enough was enough and last week I gave it a go. 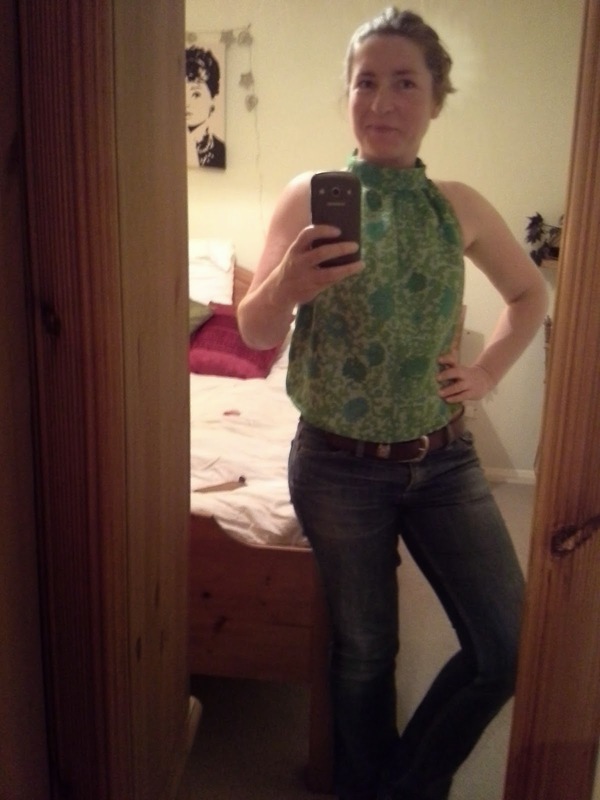 My sewing skills are more geared to quilting, so dressmaking was a total change. But I like a challenge! Assisted by the cat, I set to, tracing and cutting out the pattern from the pattern sheets provided. 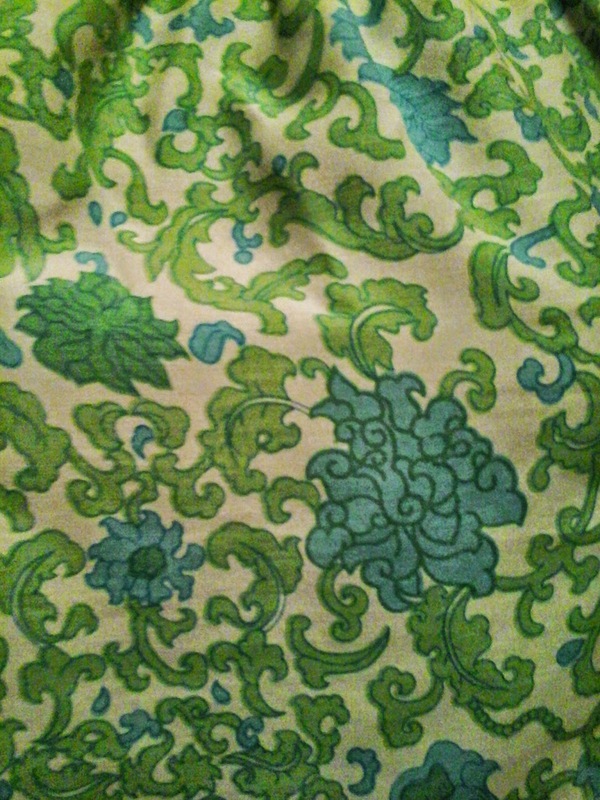 The fabric I was using is probably older than me and was brought back from Hong Kong over 40 years ago. Its matt silk and much richer in colour than the photo shows. 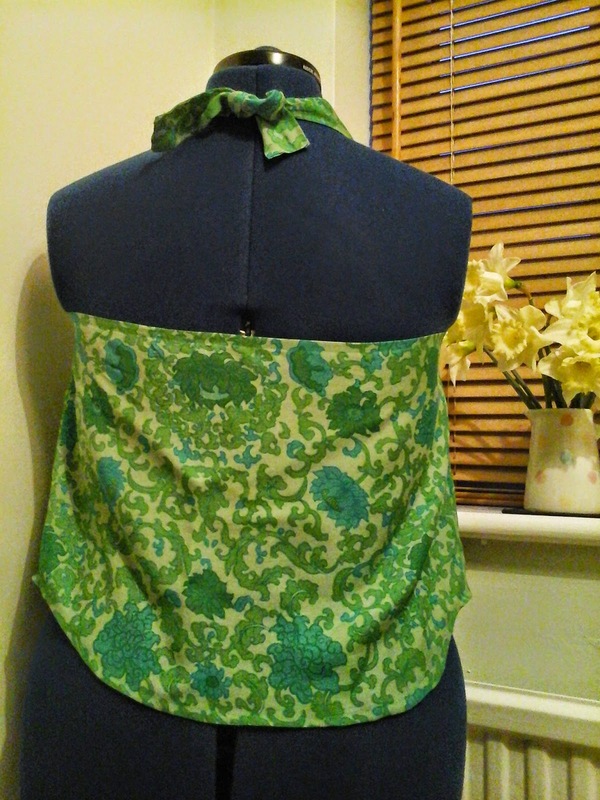 I found it quite flimsy to work with, but has a beautiful drape. Just what you need for a top like this. 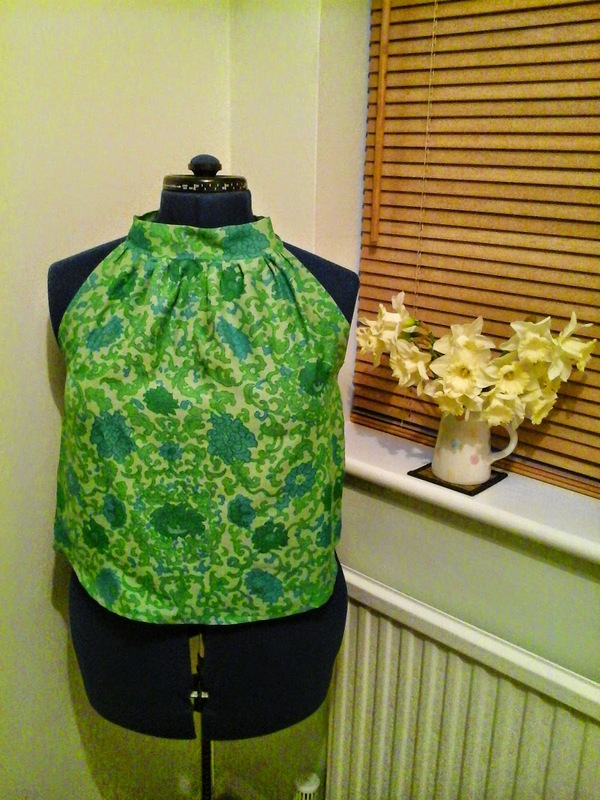 The pattern was simple and easy to follow and gave separate instructions for the gathering required for the neckline. I chose to do my gathering by hand and did the rest on the machine with Gutermann Sew-it-all thread and a size 70 machine needle. A simple halterneck style neck tie. 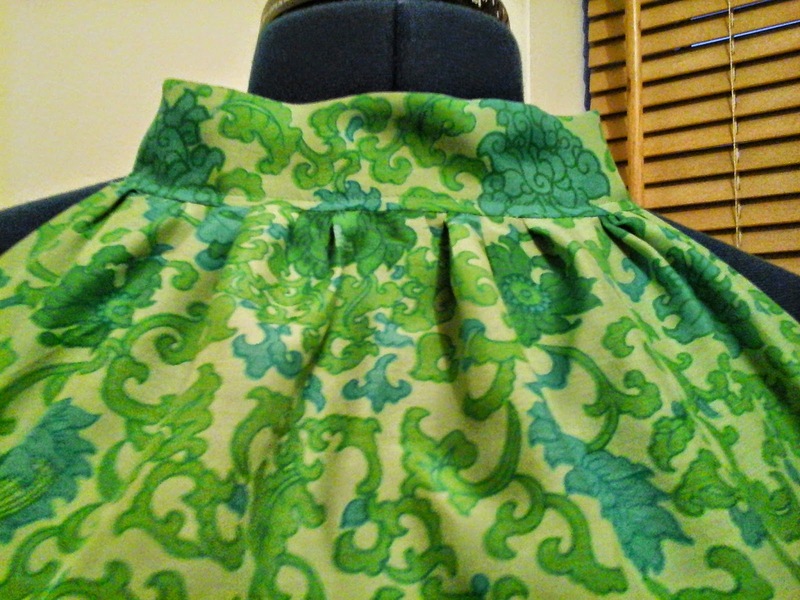 And a nice scooped hemline front and back. Its going to be just perfect for a beach holiday! I think I like it so much, I will try it out in a variety of fabrics. 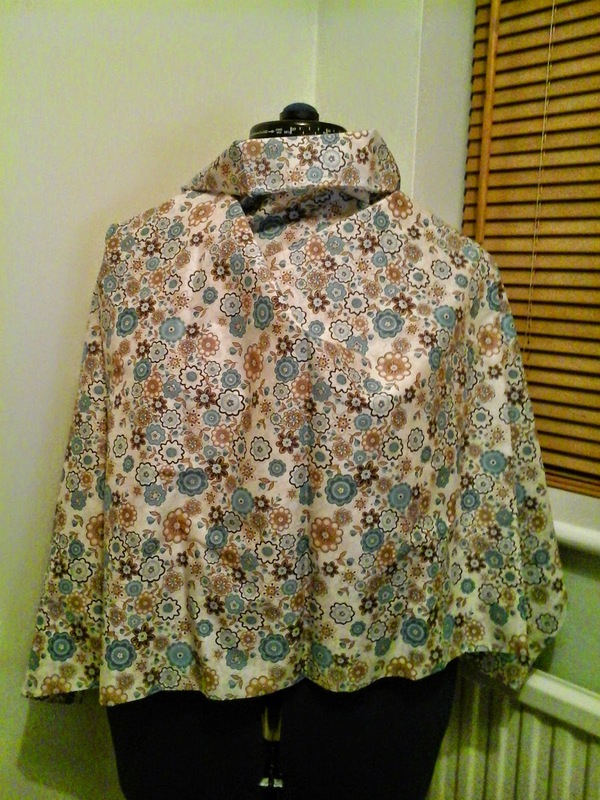 I bought this lovely fine cotton from Liberty about 4 years ago and think it would look great as a draped top. 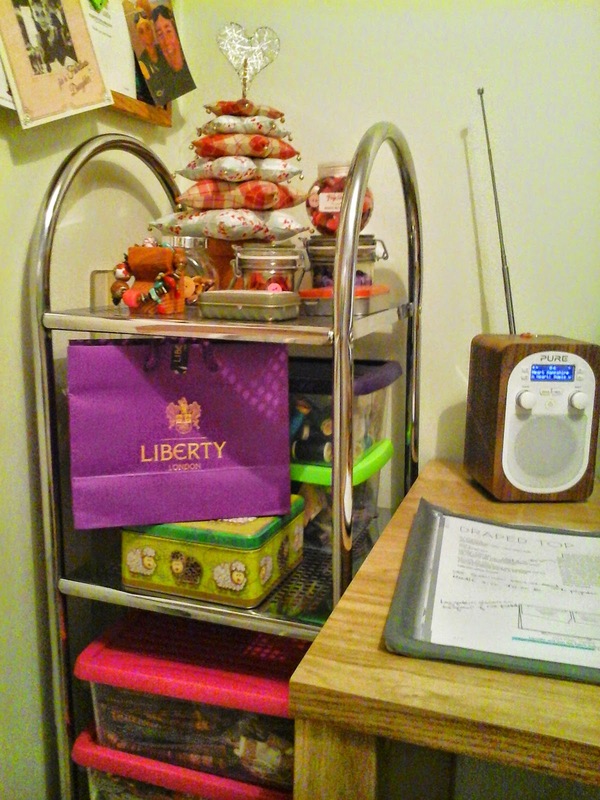 However, it has sat in its Liberty bag since I bought it and I'm not sure I can bare to actually cut it up.